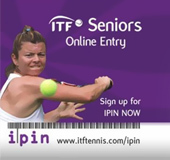 2014 ITF SOLARIS CUP ŠIBENIK 11.10.2014. GMP CUP 2014 POZIVNI VIP TURNIR 30.08.2014. 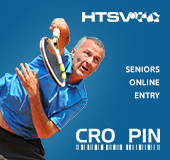 ITF 51ST INTERNATIONAL SENIORS CHAMPIONSHIPS- OPATIJA 25.08.2014. OMORIKA OPEN 2014 -70 16.08.2014. AA 160 20. MEMORIJAL ZA POGINULE HRVATSKE BRANITELJE 28.06.2014. AA 160 MEMORIJAL DRAGUTINA ŠKULJEVIĆA 21.06.2014. ITF INTERNATIONAL CHAMPIONSHIP OF CROATIA 26.05.2014. AA 140 OP GRADA OSIJEKA 10.05.2014. AA 140 OP SLAVONSKI BROD 26.04.2014.